12 different companies – including Caterpillar, Torus, Arconic Fastening Systems and Doncasters – are the latest firms to let their young talent benefit from the MCMT’s array of new technology and equipment, ranging from CNC machines and metrology, through to fluid power systems, welding bays and robotics. 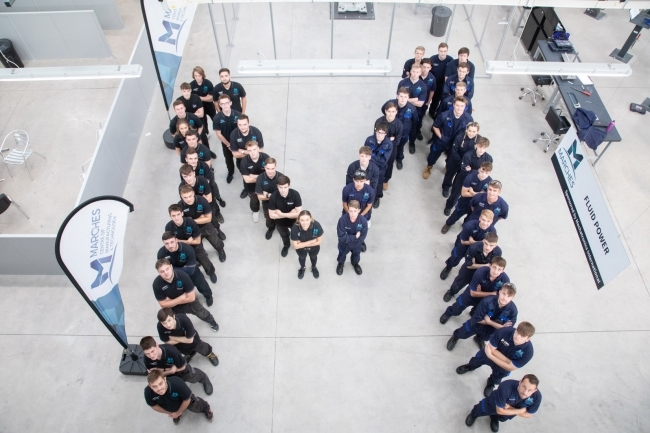 MCMT’s second training academy is located on-site at Salop Design & Engineering and offers apprenticeships in welding, general manufacturing and production. The Shrewsbury facility also provides extensive training in warehousing and logistics, which includes forklift truck training. Rhian concluded: “Apprenticeships are just part of the offer. We also have a brief to deliver bite size courses and in-depth training to local employers keen to offer specialist development opportunities for employees.